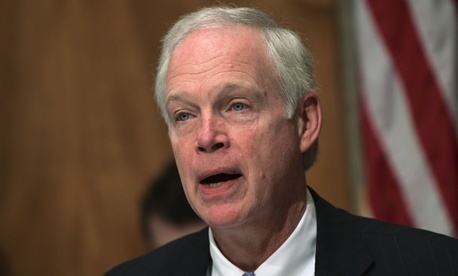 Senate Homeland Security and Governmental Affairs Committee Chairman Ron Johnson, R-Wis., last month escalated matters in his fight to secure documents from the Office of Personnel Management about a controversial rule related to the Affordable Care Act, issuing a subpoena to the agency over files he claims have been withheld from congressional scrutiny. In a Dec. 22 letter accompanying the subpoena to acting OPM Director Kathleen McGettigan, Johnson bemoaned the paltry amount of documents sent in response to his long-standing request. For years, Johnson has sought information about how OPM decided to issue a rule in 2013 that allows congressional employees to purchase health insurance on the D.C. Small Business Health Options Plan exchange and receive an employer subsidy. Before approving the Affordable Care Act, Congress voted to require members and their staff to purchase health insurance on the Obamacare exchanges. In 2016, then-Sen. David Vitter, R-La., blocked the confirmation of Beth Cobert to be director of OPM over the rule. Cobert served as acting director of the agency from July 2015 until President Trump’s inauguration. After Vitter left Congress in 2017, Johnson carried on his tradition. In October, Johnson threatened to block the nomination of Jeff Pon to be director of OPM unless the agency cooperated with his information request on the Obamacare rule. Since then, Pon has not received a vote in committee. In 2010, before passage of the Affordable Care Act, the Senate voted not to include an amendment that would have allowed an employer contribution to go toward congressional employees’ purchase of health insurance on the Obamacare exchanges. Johnson has pointed to that vote to argue that OPM’s rule circumvents Congress’ intent in that provision of the law. Representatives for Johnson did not respond to a request for comment. An OPM spokesperson said in a statement that it is reviewing Johnson’s subpoena. “OPM has taken significant steps to respond to Chairman Johnson’s earlier inquiries and will continue to do so until the agency has responded in full,” the statement said.